People often hesitate before investing in a security services provider for this purpose as they feel that through technology like cameras and alarms the location can remain secure. 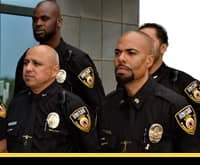 While it’s true that on several occasions, such precautions may be enough to ward off robbers, but they might not be enough on others, which is why professional security guards are always the best option. Now, the fact is that such facilities are meant to store large amounts of possessions and valuables. Invaders and robbers are also aware of the numerous things present within. People store all kinds of things, some of which aren’t even that valuable, while some might be. As mentioned, most facilities already have state of the art technology in place, but the degree of security which an actual security guard offers still can’t be matched by technology. These professional security guards are trained in all forms of combat and are aware of how to respond in threatening situations. Furthermore, they normally provide their services round the clock, remaining vigilant 24/7. They also patrol the grounds regularly thus ensuring no one can enter the premises without being detected. Storage facility security also becomes important because the possessions that are being stored are not yours but someone else’s. Taking such a responsibility is a big deal and so the owners of the facility must ensure that they do everything in their power to prevent loss or damage from befalling these possessions. Furthermore, other than the moral obligations of keeping these possessions safe, there will be legal implications if any disaster happens to affect the possessions stored within. Normally, people think and research thoroughly before they invest in a certain storage facility. They keep several factors in mind such as the size and location, and one of the main factors which everyone is mindful of is the degree of security. If they feel the facility can come to harm of any sort or isn’t well-guarded, they will just invest in another one. Ensuring that you have trained and experienced security guards, who know their ways around technology as well on the premises all the time, can go a long way when it comes to making and keeping customers. Investing in a reputable security services provider to protect your facility has become essential towards staying in the business successfully.